Heel pain in children can very commonly be caused by a condition called Sever's disease. While putting the word "disease" in a diagnosis sounds scary, it is truly a resolvable issue. Another term for this is calcaneal apophysitis. Apophysis (or epiphysis) refers to the growth plates that are located throughout the body of a developing child. The "itis" refers to inflammation. 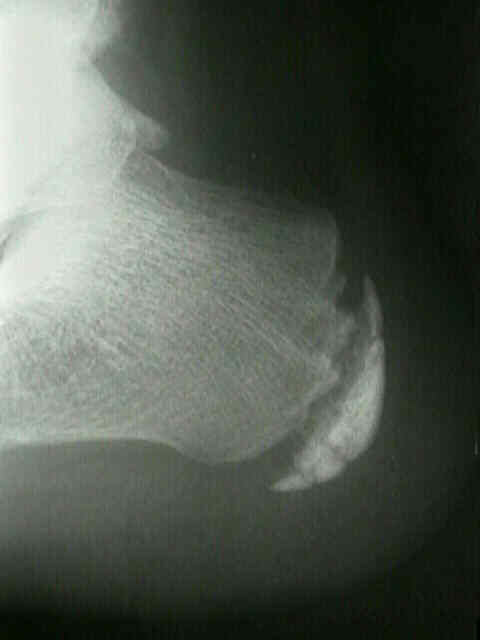 Inflammation that occurs in the heel bone (calcanus) in the area of the growth plate is therefore calcaneal apophysitis. Phew...now that that's out of the way, let's talk about what it means to you. Children can experience "growing pains" as their bones heal and lengthen and while their growth plates close - and this can occur in any part of the body. The cartilage cells that compose rudimentary bone structure in children are replaced with bone cells as children mature. In the world of medicine, many doctors in the past have held importance in having a condition or a procedure with their name on it, and James Warren Sever described the apophysitis of the heel bone back in 1912. This condition presents as pain in the heel. It occurs during an adolescent growth spurt which for girls is between 8-13 years of age and for boys between 10-15. Sometimes during development, bone may grow at a higher rate than tendons and muscles and because the heel serves as an insertion point to the Achilles tendon, the tendon pulls on the growth plate. Especially in children that are active in sports, this pulling is more frequent and exaggerated. This causes additional motion of the growth plate on the mature bone of the calcaneus and causes pain and inflammation (or micro-swelling). If you have an adolescent complaining of pain in their heel or limping - schedule an appointment with Prairie Path Foot & Ankle Clinic to have them assessed and treated properly.